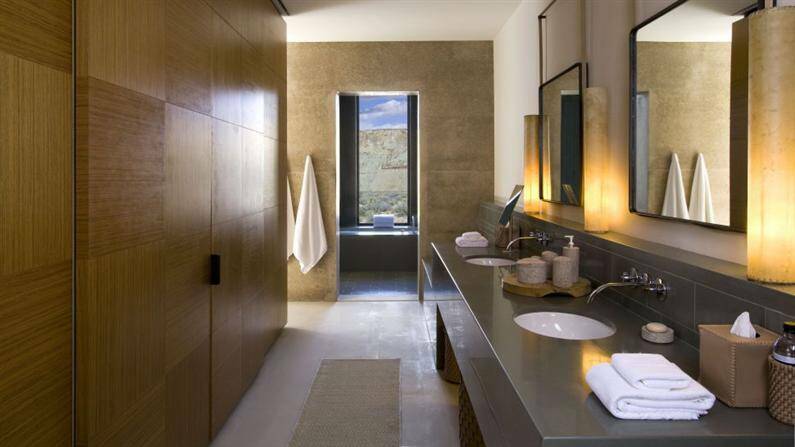 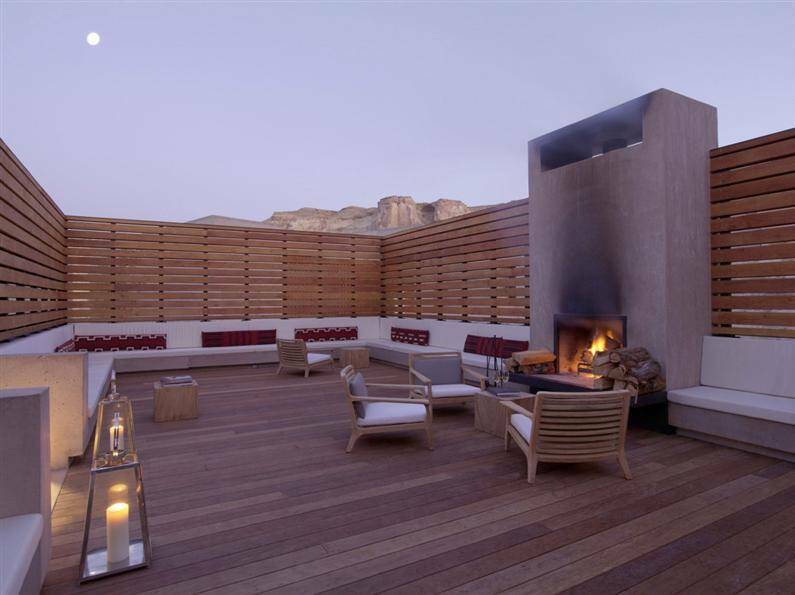 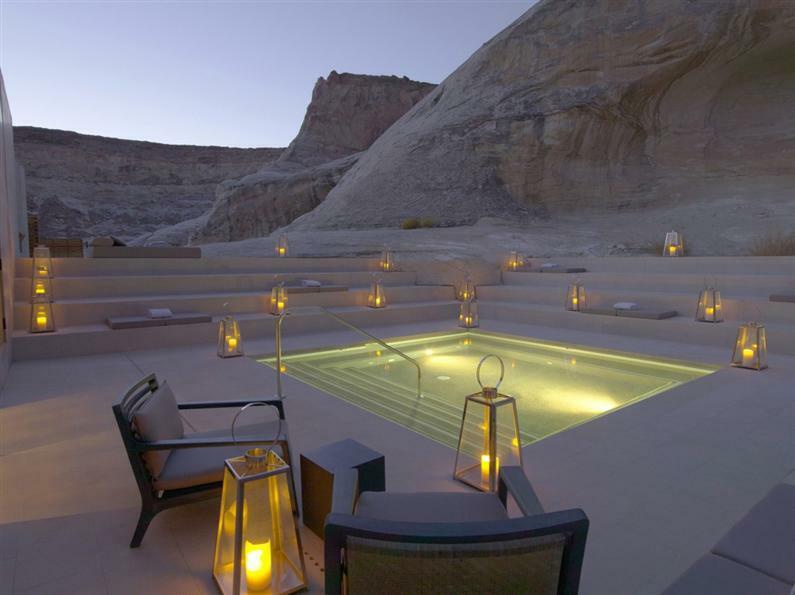 The cooperation between three famous architects, Marwan Al-Sayes, Wendell Burnette and Rick Joy, was materialized in the spectacular project Amangiri Resort and Spa, situate on a 600 acres field in Canyon Point, in the south of Utah. 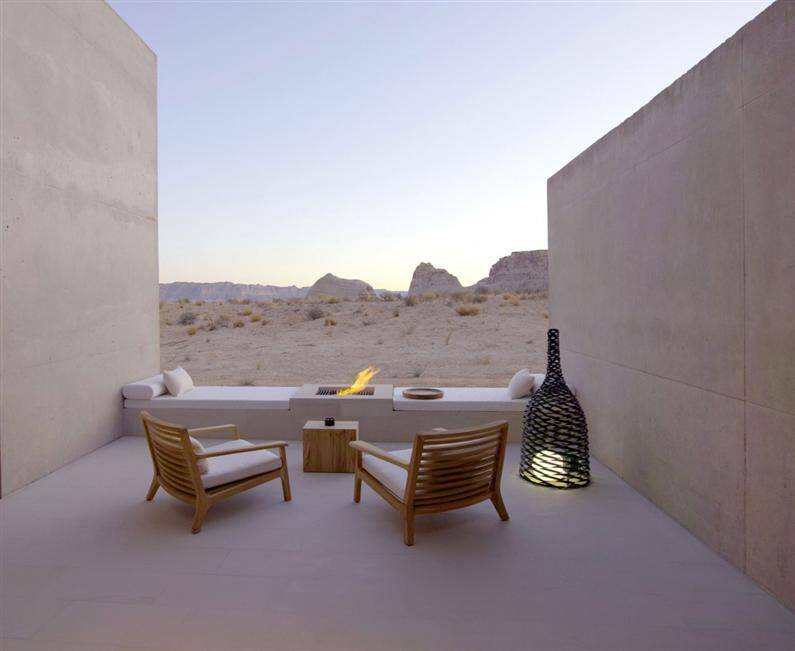 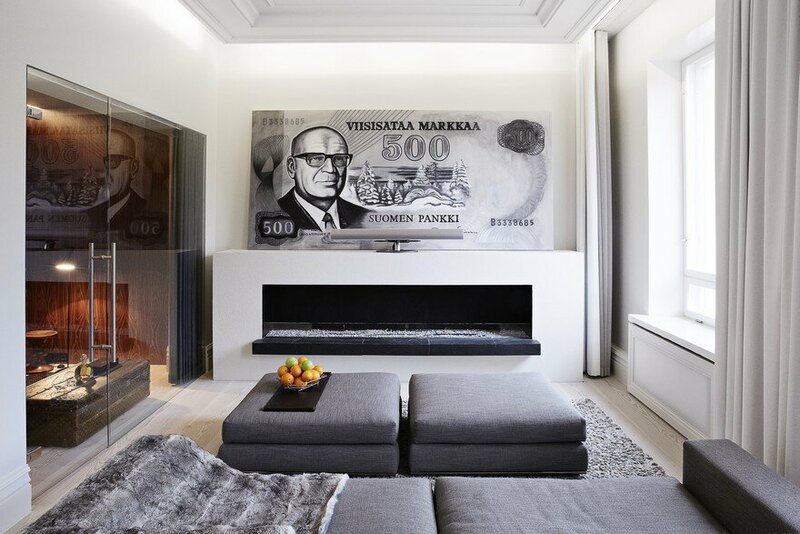 The extraordinary location inspired the architects who worked for the a legendary hotel industry name Adrian Zecha, whose Aman Resorts redefined the concept of travel and comfort in outstanding locations. 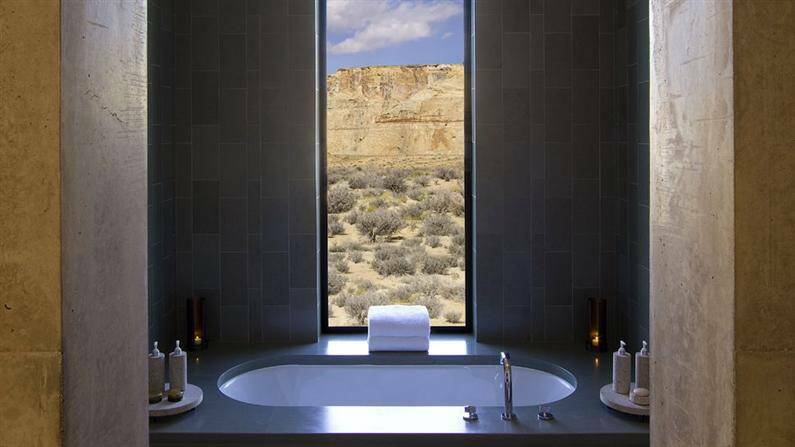 Amangiri means “deserted mountain” and is hidden in a protected valley, in canyon, with exquisite views over reddish, stratified rock towards the Grand Staircase- Escalate National Monument. 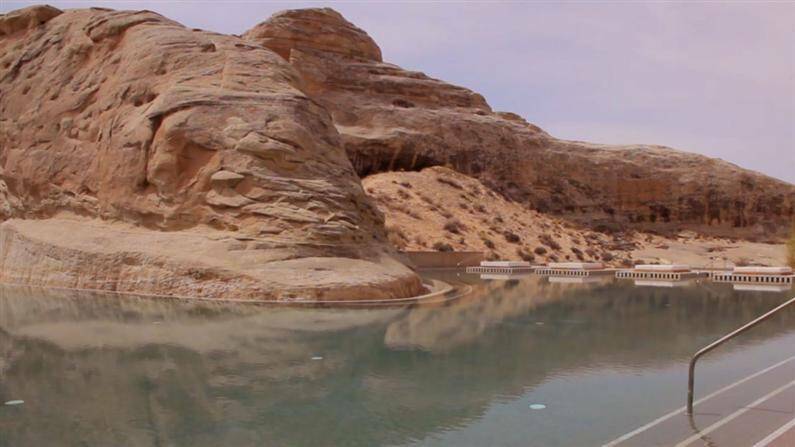 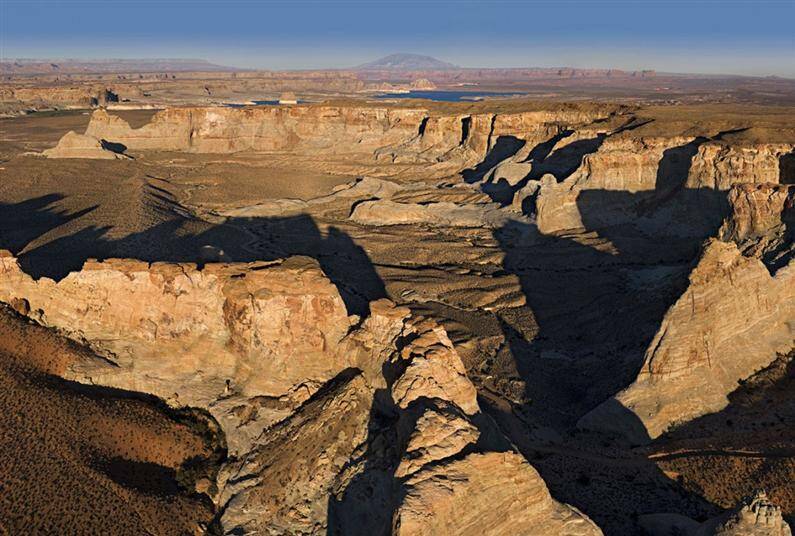 The hotel is situated only 25 minutes from Page, Arizona and 15 minutes from the Powell Lake. 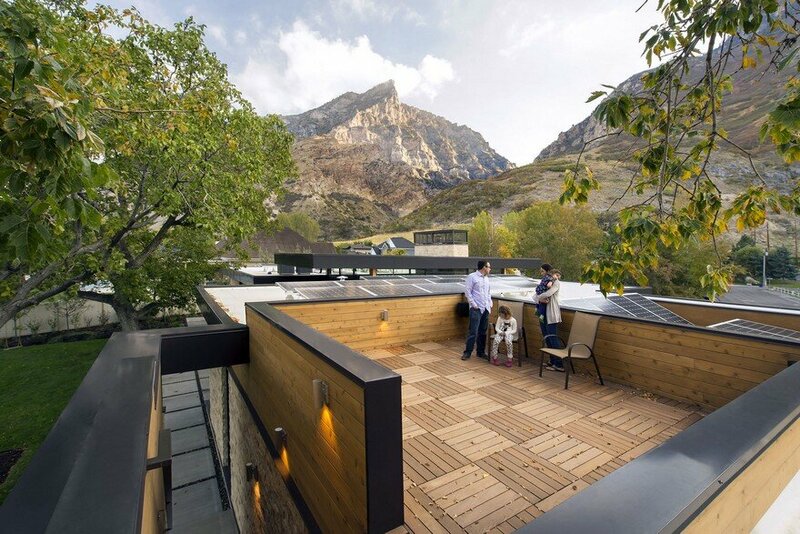 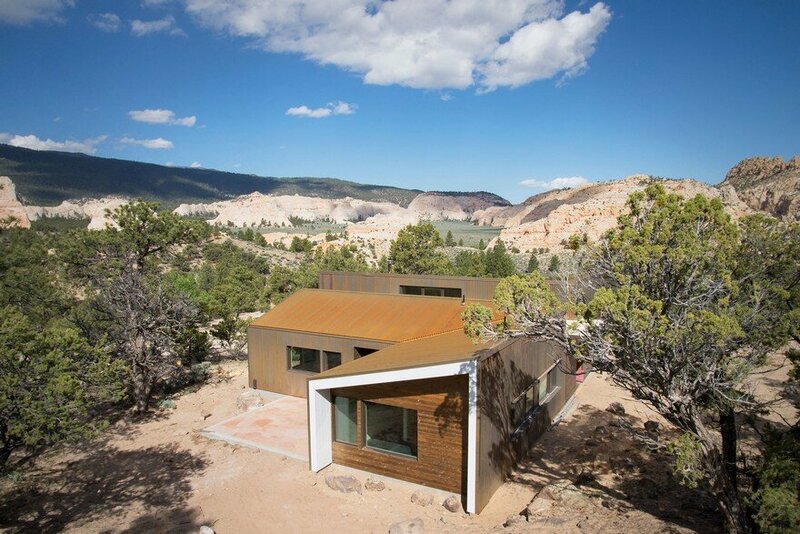 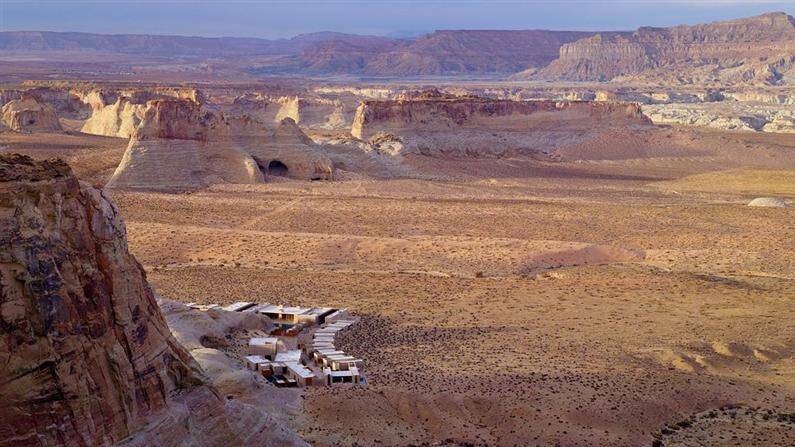 The resort is conceived to integrate in the landscape of the canyon; the design respects the colors, material and natural textures. 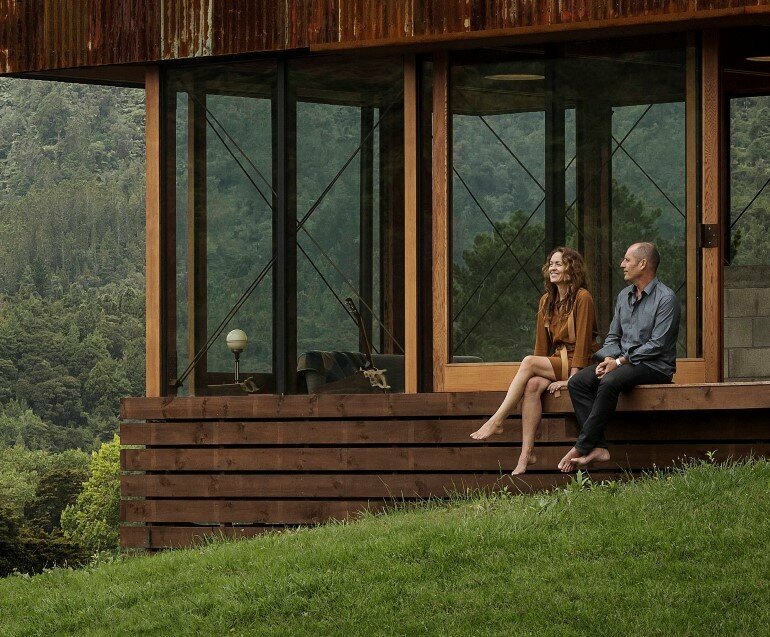 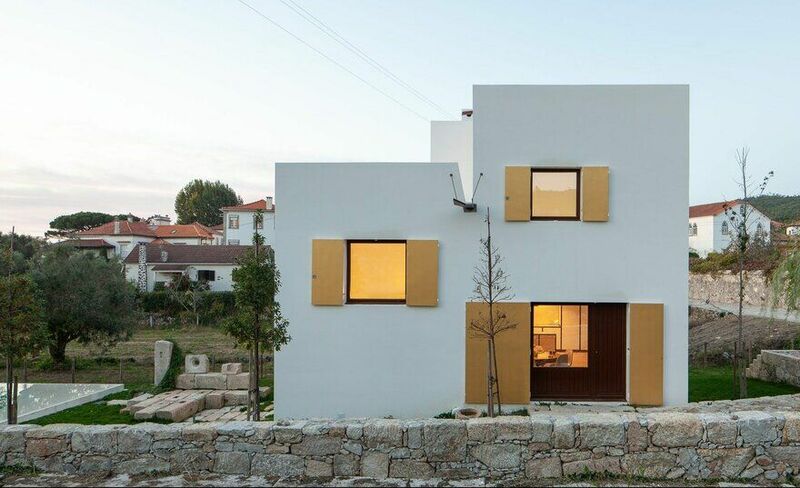 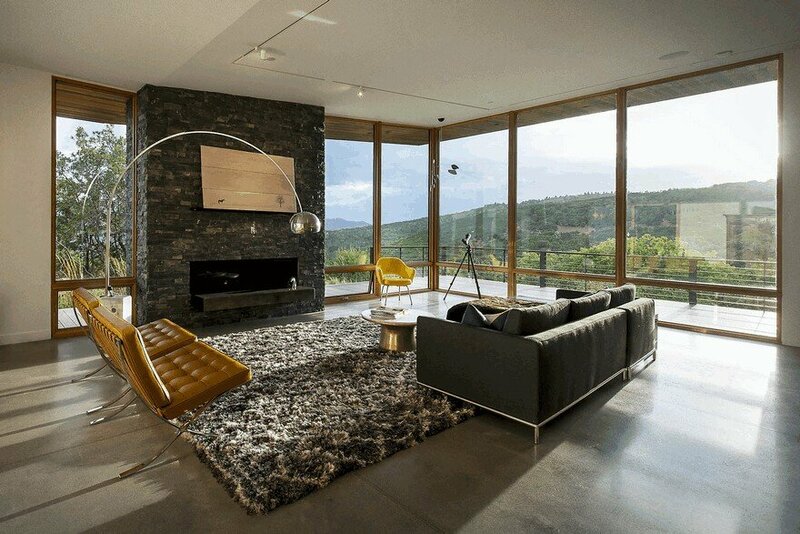 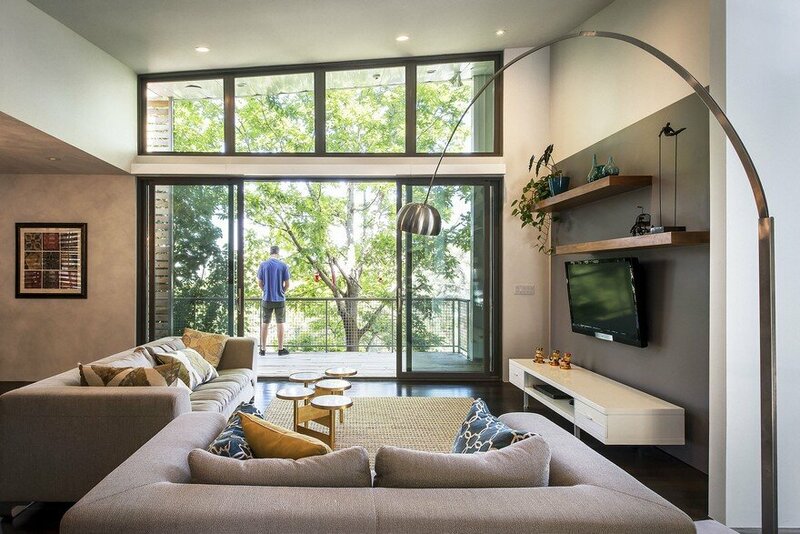 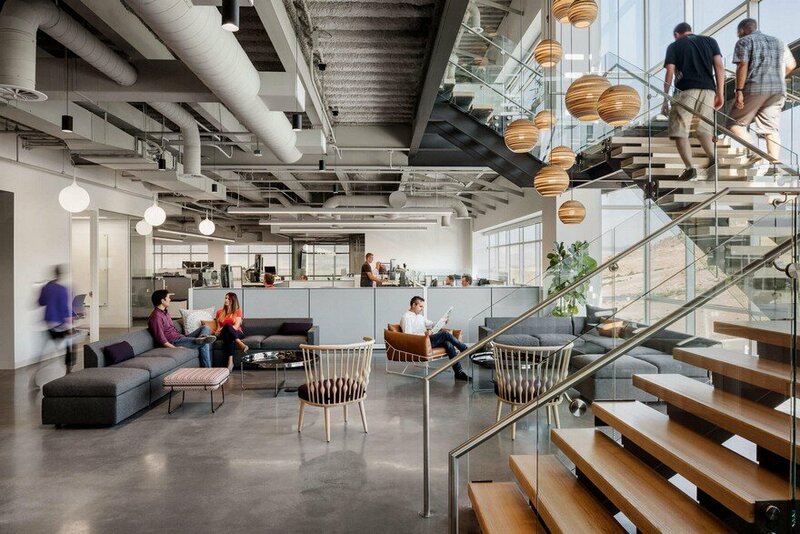 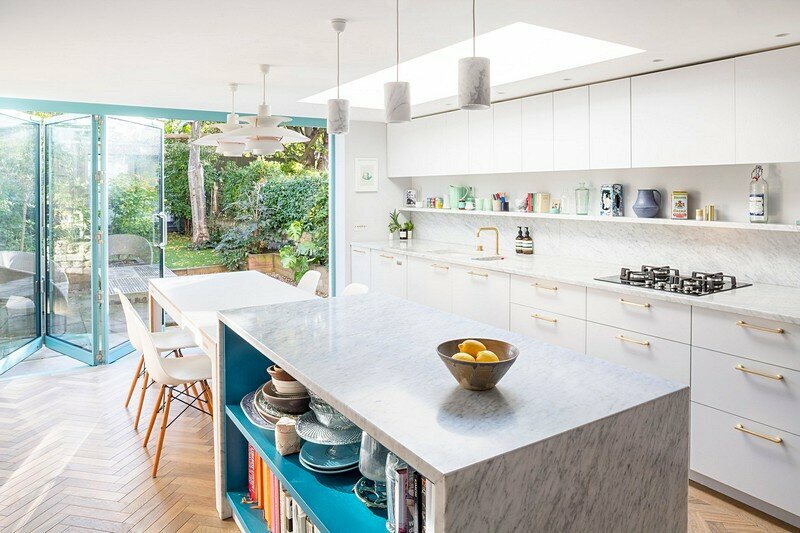 The scale, of the architectural structures, respects the natural proportions, offering an intimate frame for admiring and appreciating the landscape. 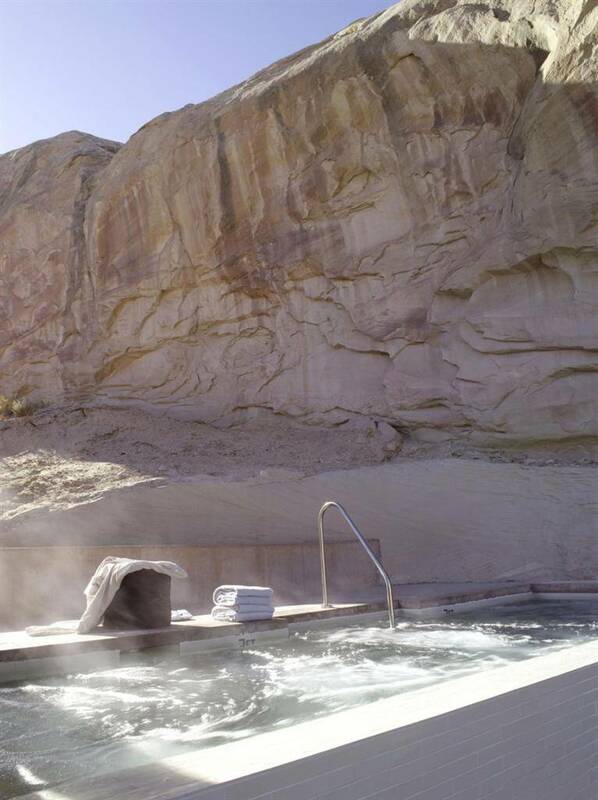 The central pavilion of the complex is built around the main swiming pool, surrpunded by a monumental abrupt rock. 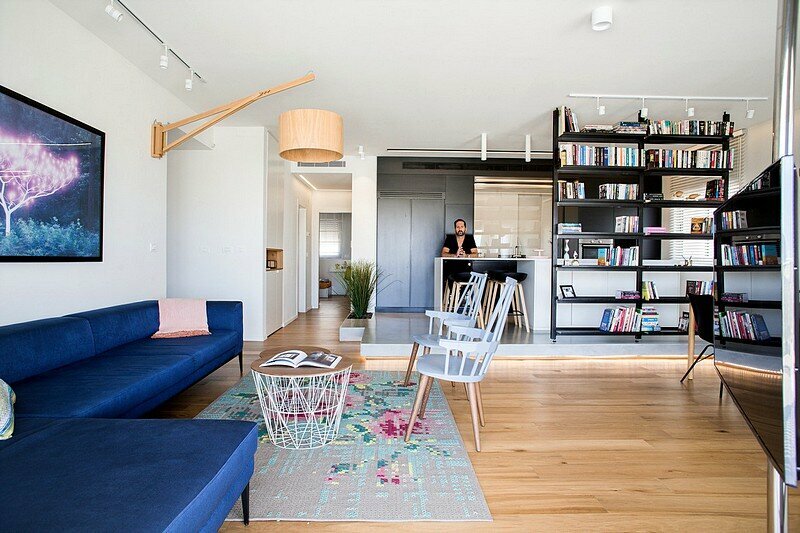 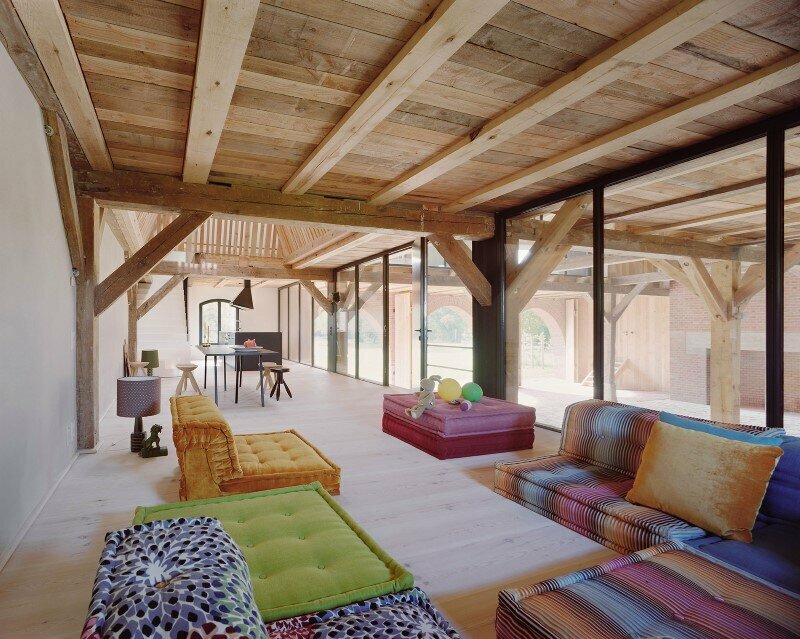 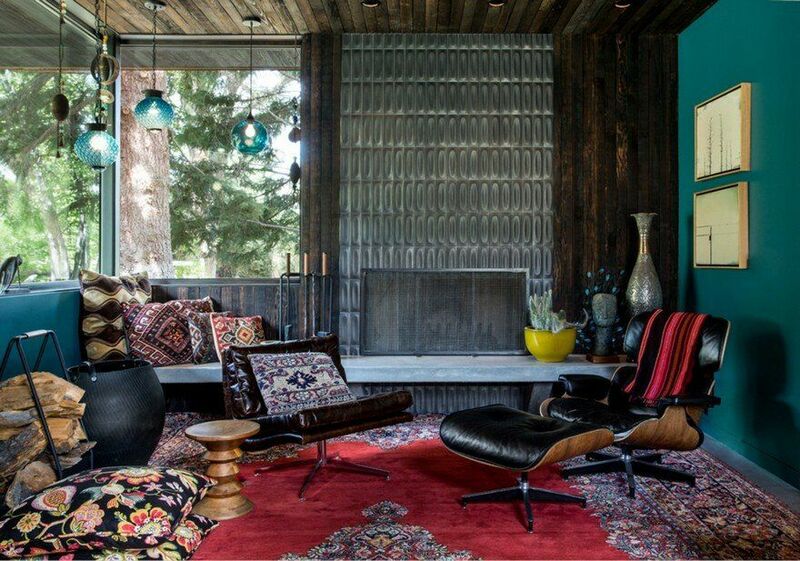 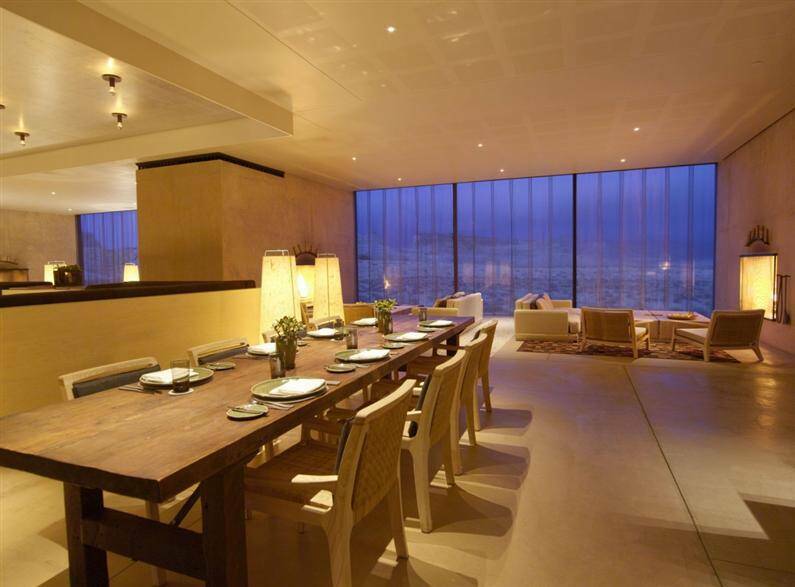 Inside the Pavilion there are the livingroom, the Gallery, Library, Dining Room, Private Dining Room and Cellar. 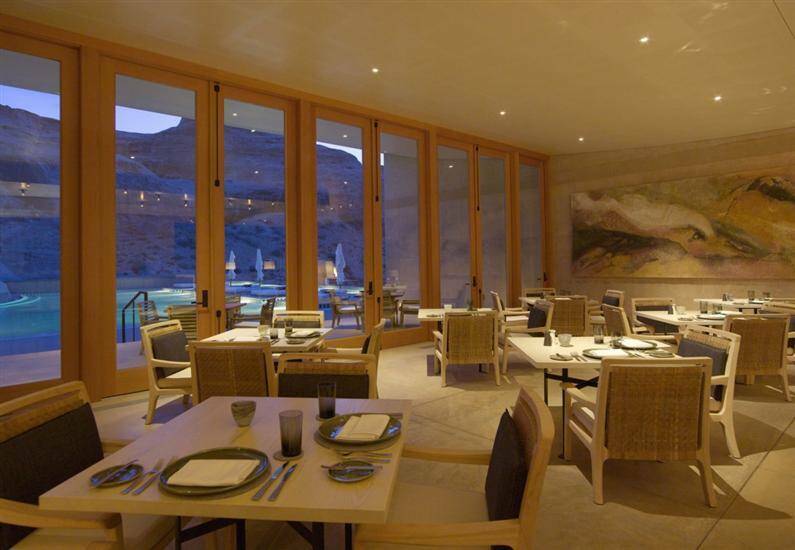 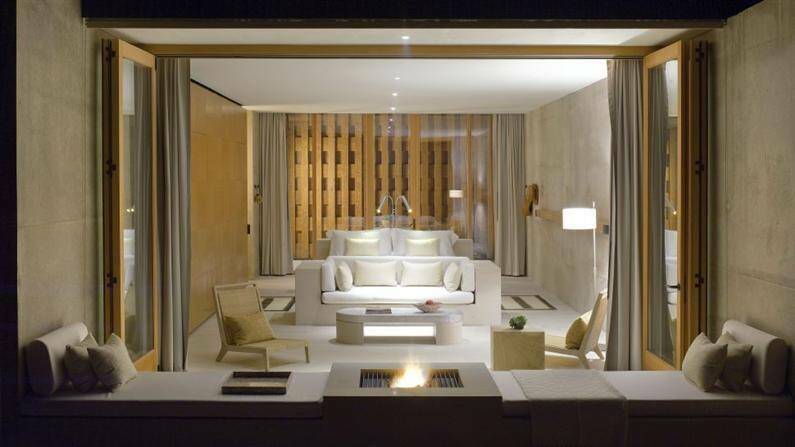 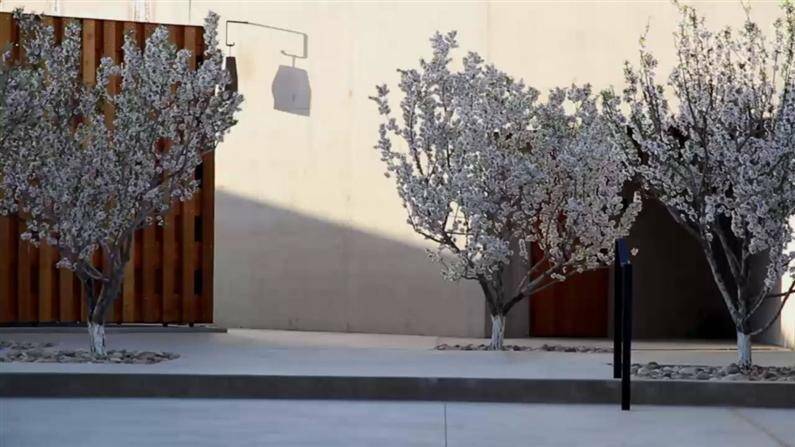 Two lateral wings ead from the Pavilion into the desert: 16 suites are located within the Desert Wing and another 18 suites together with the Aman Spa are located within the Mesa Wing. 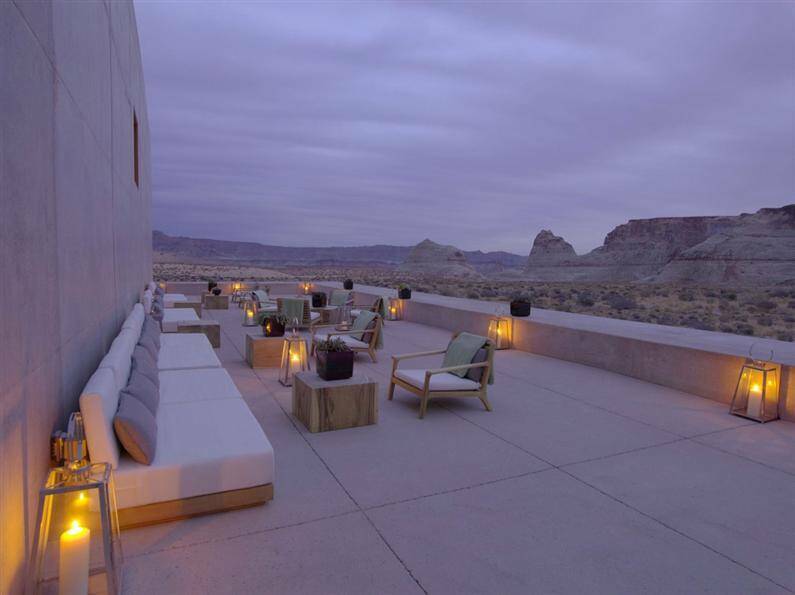 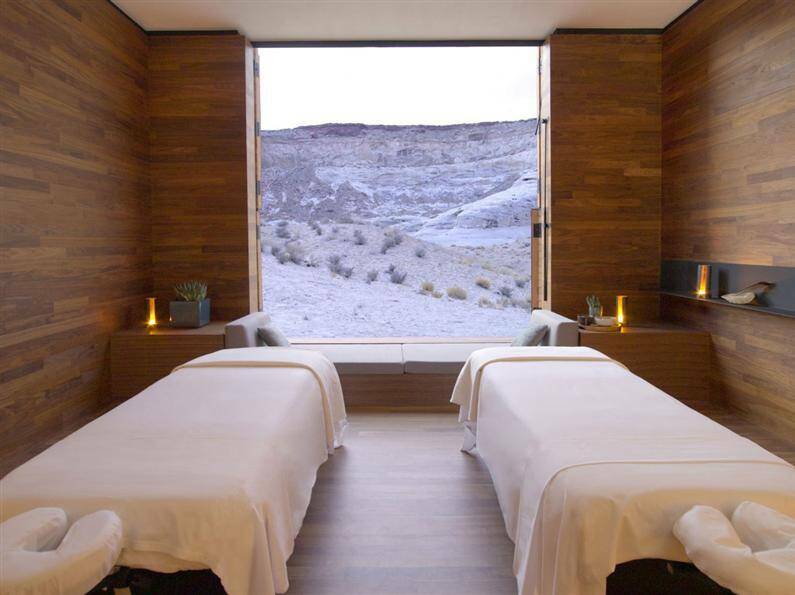 A daring project and a rare beauty, Amangiri Resort celebrates the magic of the Point Canion, the majestic rocks and spectacular rock formations from the south of Utah. 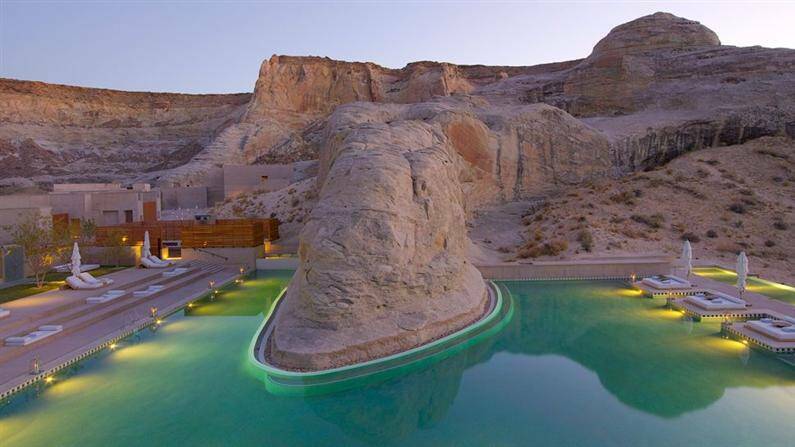 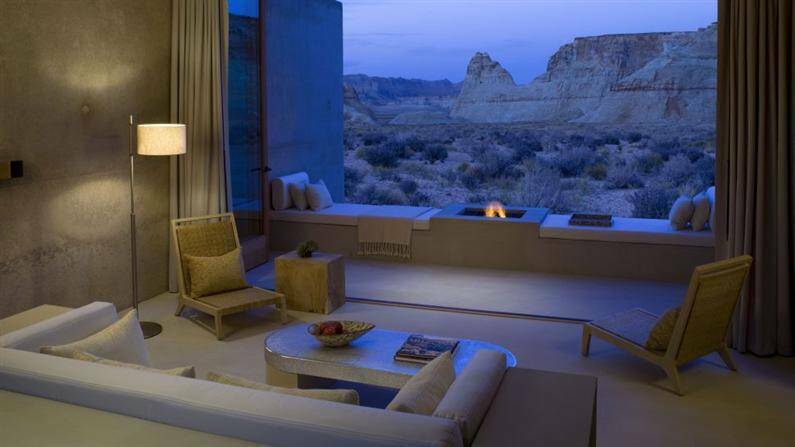 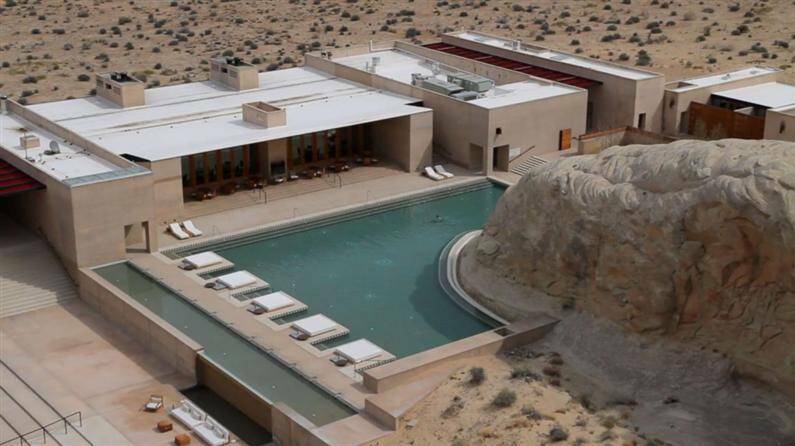 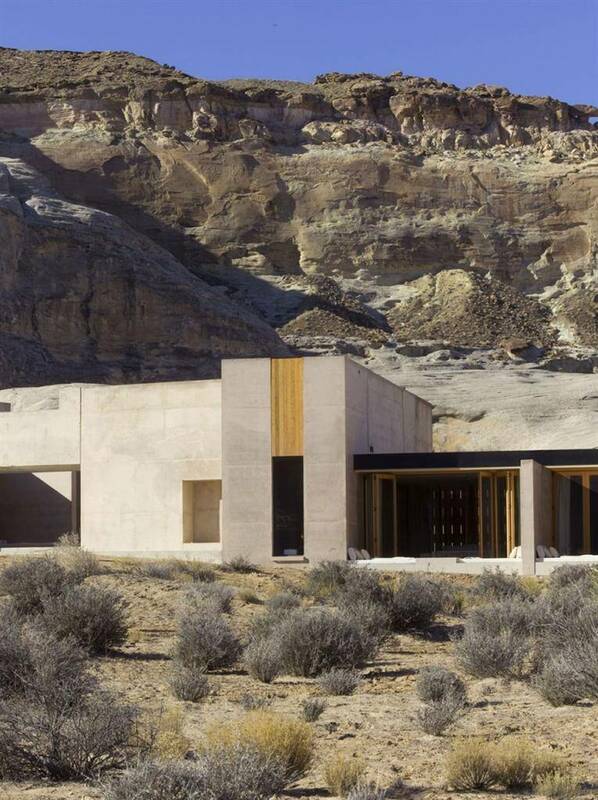 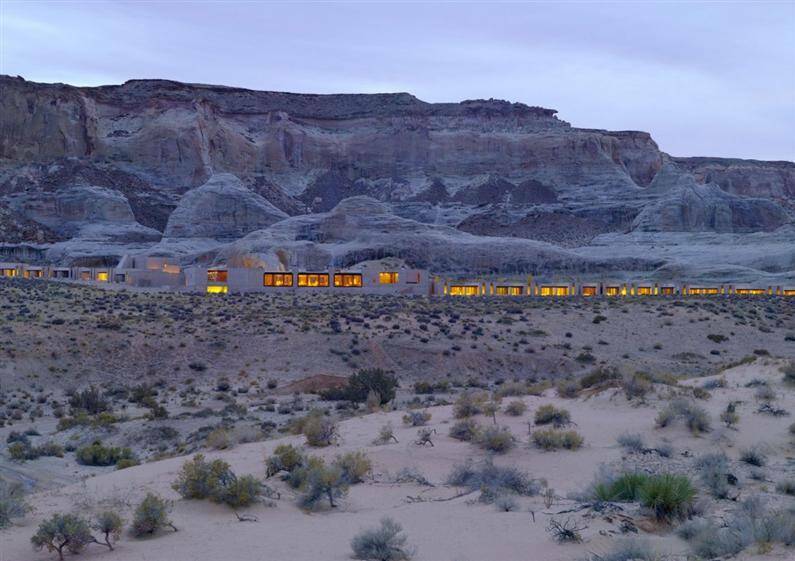 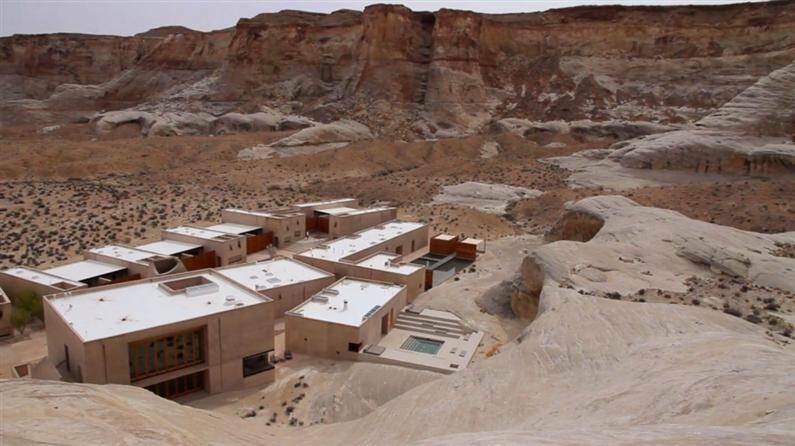 More details may be found on the website of Amangiri Resort.